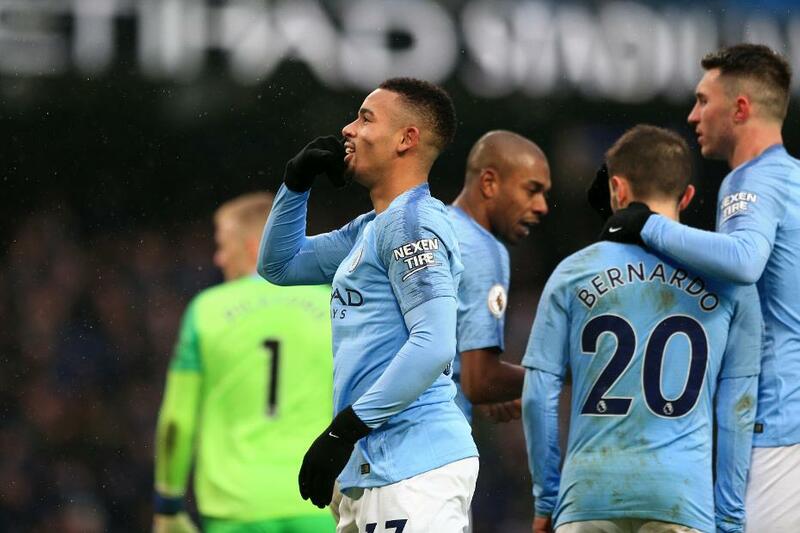 Gabriel Jesus scored twice as Manchester City beat Everton 3-1 at the Etihad Stadium. Everton went close to taking the lead when Richarlison volleyed over Lucas Digne's cross. City opened the scoring on 22 minutes when Leroy Sane played in Jesus, who beat the offside trap to finish past Jordan Pickford. The same two combined again to double City’s lead five minutes after half-time as Sane’s cross was met by the head of Jesus, for his first PL double since October 2017. Everton pulled one back in the 65th minute as Digne’s lofted cross was headed in by Dominic Calvert-Lewin. Substitute Raheem Sterling restored City’s two-goal cushion four minutes later, heading in Fernandinho’s cross. Victory moves City to the top with 44 points, ahead of Liverpool's match against Manchester United on Sunday. Everton are eighth on 24 points.